The Mercedes-Benz financial unit scored 948 points out of a possible 1,000 in the 2017 Canadian Dealer Financing Satisfaction Survey. 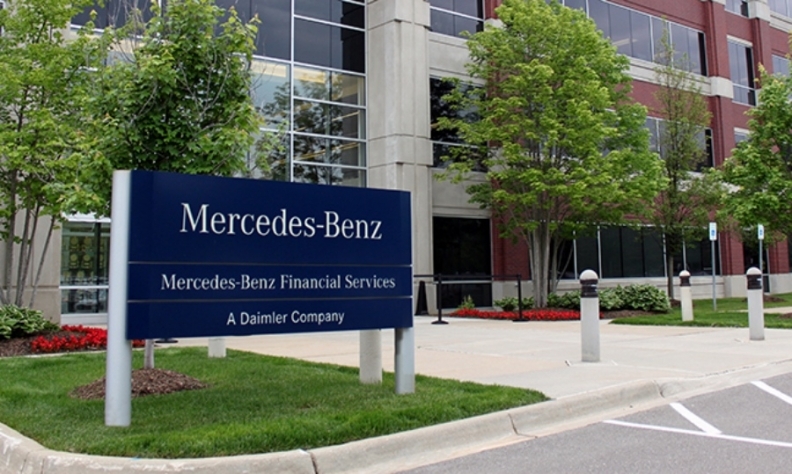 Canadian auto dealers have given Mercedes-Benz Financial Services the highest rating among captive finance companies in J.D. Power’s annual study of dealer satisfaction with lenders, ending a five-year run by BMW Financial Services. The Mercedes-Benz financial unit scored 948 points out of a possible 1,000 in the 2017 Canadian Dealer Financing Satisfaction Survey, conducted by the California consumer-research company. Mercedes-Benz was also the last automaker-owned lender to top the list before BMW started its five-year run in 2013. BMW Financial Services doesn’t appear anywhere on this year’s rankings because not enough Canadian BMW dealers responded to this year’s survey. TD Auto Finance and its score of 884 ranked first among lenders not owned by an automaker, knocking Bank of Montreal from first to second place with a score of 881. The most recent survey marks the second year in which lenders not owned by automakers were ranked in their own category. Prior to 2017, they were rated in a single group with OEM-owned lenders. Captive lenders include lenders wholly owned by a manufacturer or directly affiliated with a manufacturer. Non-captive are independent lending institutions, such as banks. On average, dealers were more satisfied with their captive lenders, whose average score was 875 points. Non-captive lenders scored an average of 862 points. Rounding out the top three among captive lenders were Ford Credit with 903 points and Honda Financial Services with a score of 883. Meanwhile, RBC Royal Bank scored 868 points to rank third among non-captive lenders. The study, now in its 20th year, found that problem resolution and the speed at which an issue is rectified significantly affect dealer satisfaction levels. Six in 10 auto dealers indicated credit desk personnel are the first point of contact for any problems or concerns. Additionally, 76 per cent of dealers said they were able to engage with credit staff when needed.